First up is the well known and well loved Rimmel London Wake Me Up Foundation. As you can see, I've pretty much finished off my latest bottle, and I'm going to have to go get another. This foundation is one of those classics that I always end up going back to, especially when my skin decides that it's going to go through a spotty phase (yeah, thanks for that). 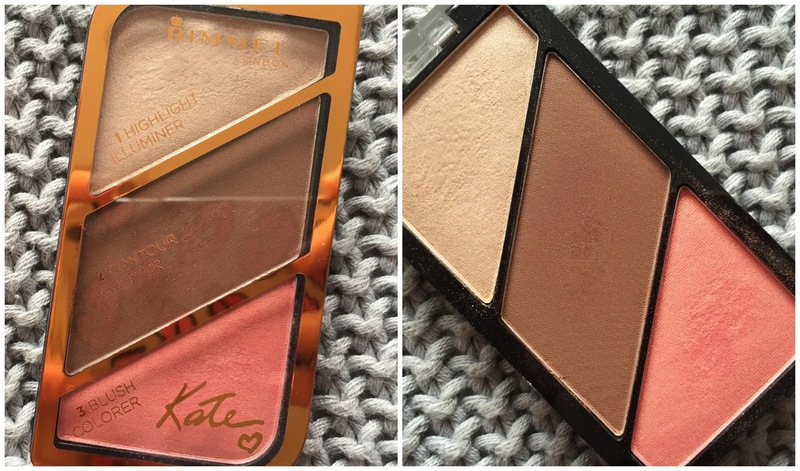 The coverage is full compared to the other foundations, but it never looks cakey or streaky. I work in this foundation gradually with a stippling brush until I'm happy, and I'm ready for powder. I really like the L'Oreal Paris True Match Foundation. It's a light, blend-able, medium coverage foundation that you can work more into gradually until you get your desired coverage. This foundation is perfect for those days where you don't want to feel like you're wearing a full face of make-up, but you still want to feel reassured that those blemishes aren't making any appearances any time soon. 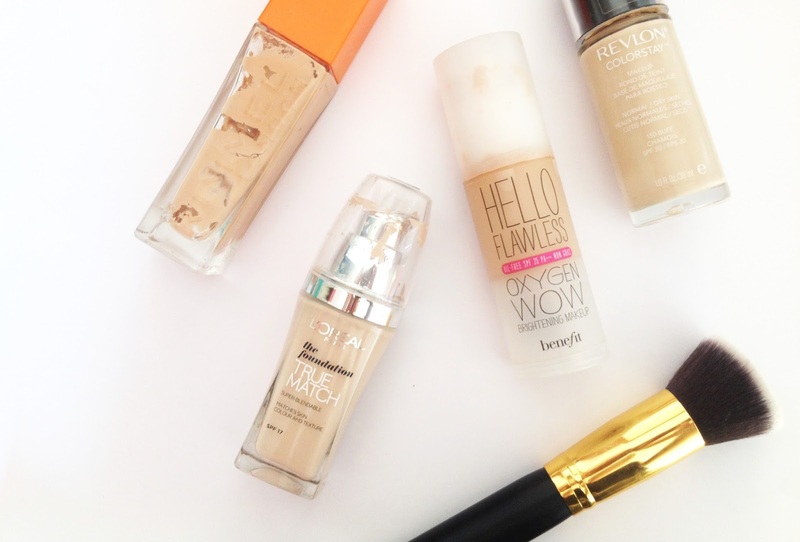 Now another base product I'm feelin' is the Benefit Hello Flawless Foundation. This is a build-able coverage foundation like the True Match formula, but Benefit has got another trick up it's sleeve with this product because it's also super nourishing, perfect for those dry skin ladies like me. It's light and leaves a dewy finish, I love it - definitely worth the price. Finally there's the Revlon Colourstay Foundation. As you can probably tell by now, I'm much more of a lighter-coverage kinda gal (with exception to those times of unsettling breakouts), and this foundation is no different. This foundation definitely gives me the dewiest look out of all of the above products, and that's why it's the perfect Summer base. Annoyingly, it doesn't come with a pump, and I'm still trying to master the art of tipping the perfect amount onto the back of my hand, because I seem to be going through this stuff quickly. For the price, however, this product is amazing.